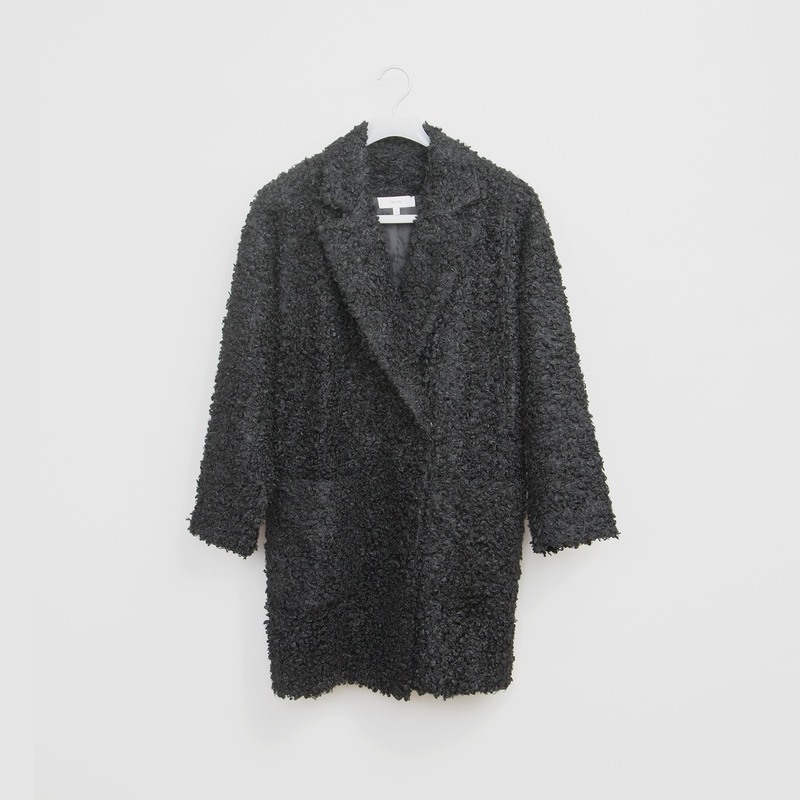 This double-breasted coat is cut from faux shearling wool-blend fabric, in an oversized boxy silhouette. Layer yours over everything from evening dresses to a simple T-shirt and jeans combination. Easy to wrap up and stay warm for the chilly winter. Two patched pockets in front, a decorated belt at back to create an effortlessly chic look. - Loose fitting. - Invisible hand snap-button front. 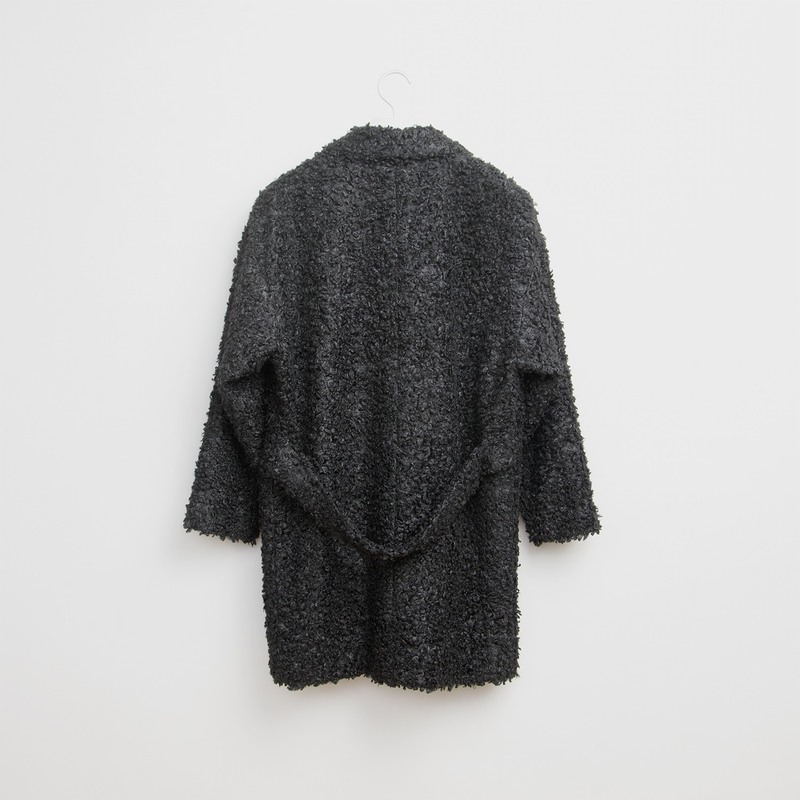 - Model is 175cm and is wearing size S.
Shell - 70% Polyester 30% Wool, Lining - 100% polyester.